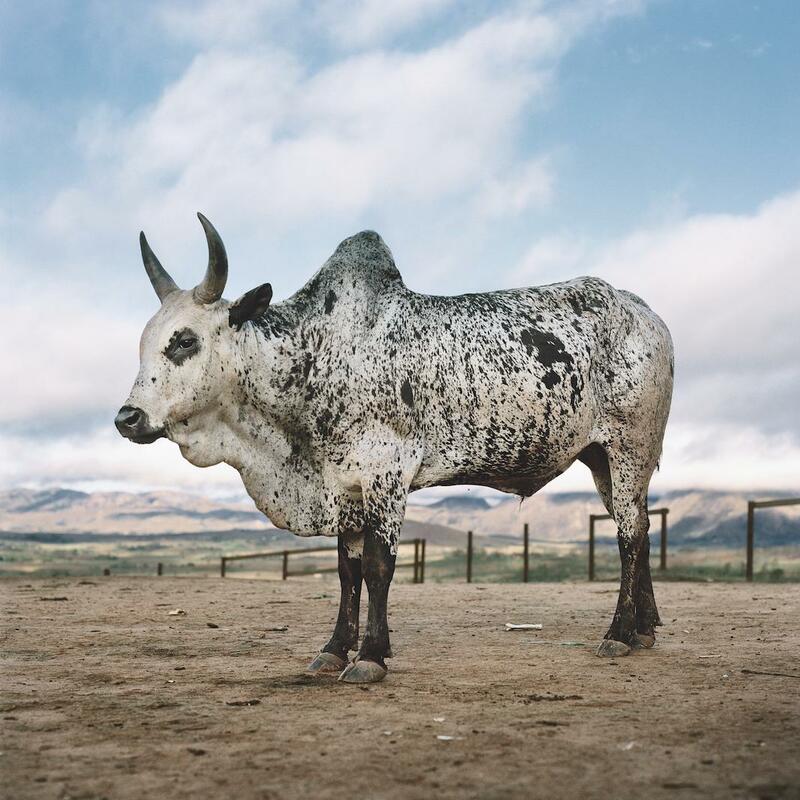 Daniel Naude photographs cows in his book, Sightings of the Sacred. Ankole 1. Lake Mburo district, Nyabushozi, Western Region, Uganda, 2012. 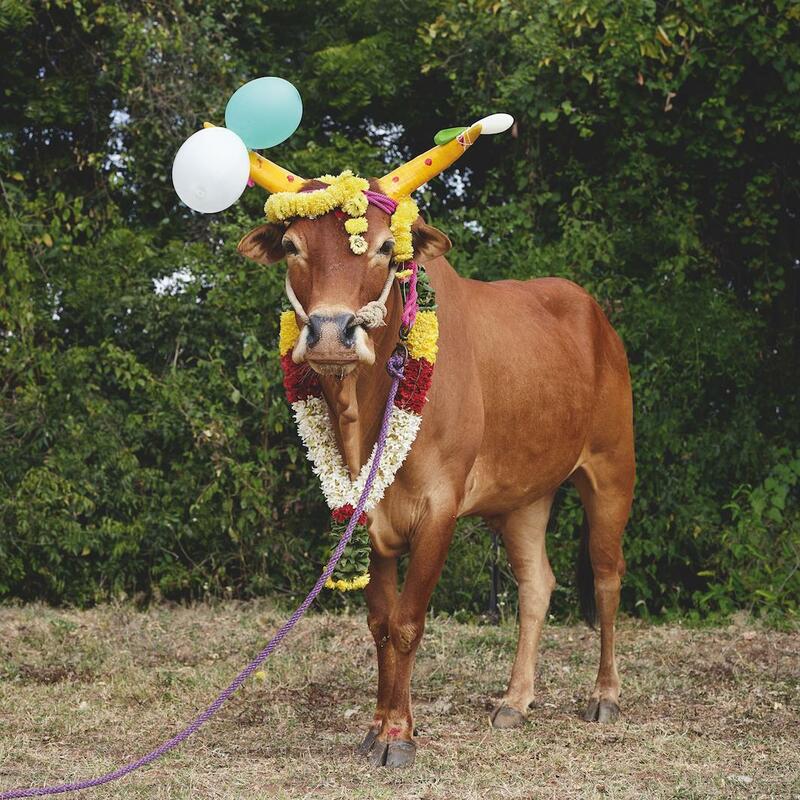 In many parts of the world, cows are seen not merely as sources of meat, milk, and skin, but as special animals worthy of respect and admiration. South African photographer Daniel Naudé’s book, Sightings of the Sacred, which Prestel published in May, shows why, with images of magnificent species in Uganda, Madagascar, and India that are integral to the cultural and religious traditions of the people who look after them. Naudé first got the idea to photograph cows when he encountered Xhosa and Nguni cattle in South Africa while working on an earlier book, Animal Farm. 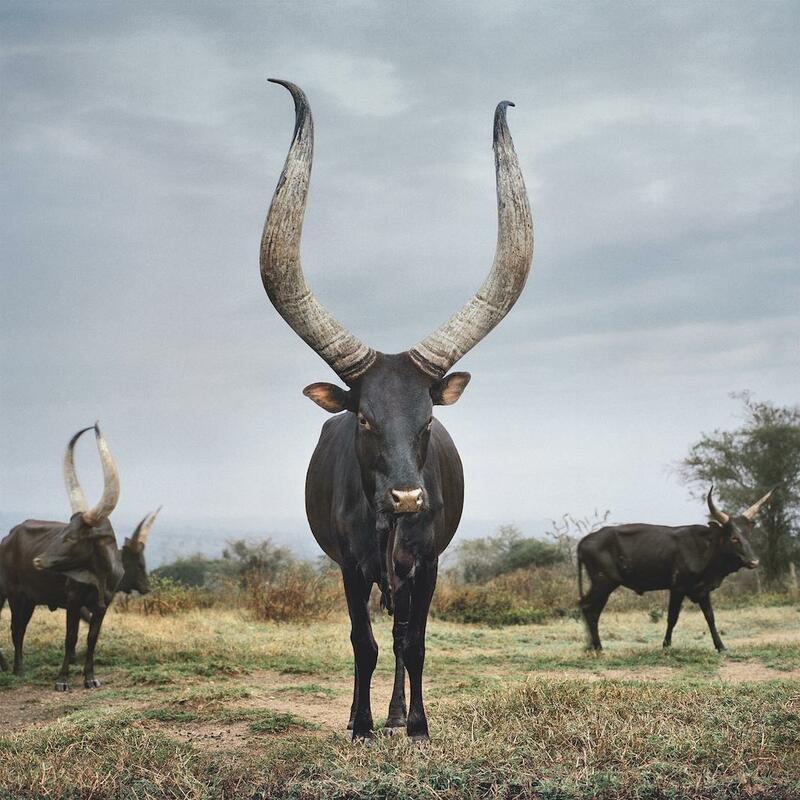 But he didn’t begin working on Sightings of the Sacred until he read an article about the Ankole cattle of Uganda. 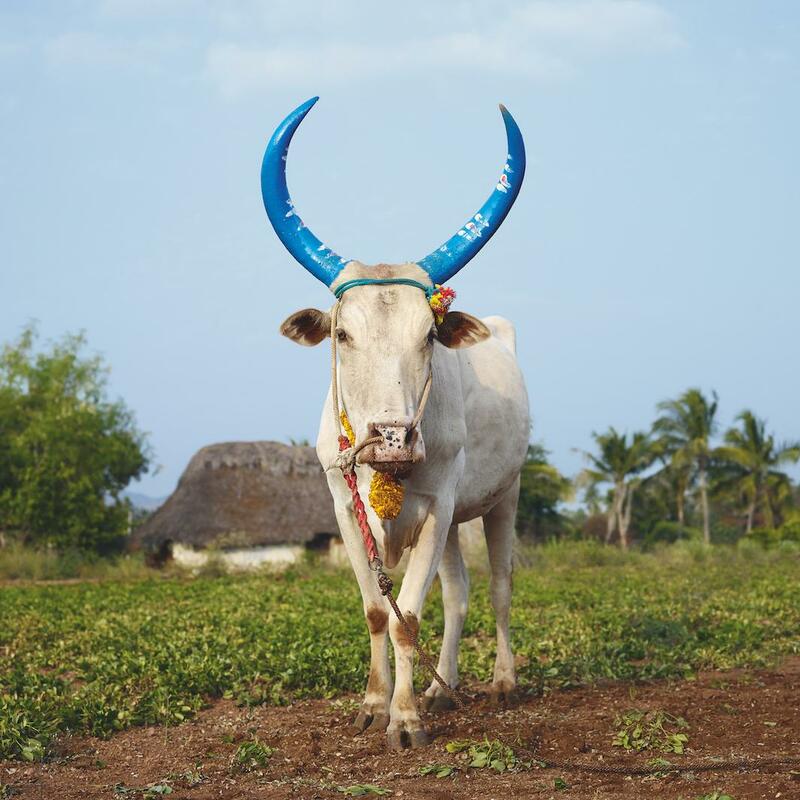 The Ankole, which sport enormous curved horns, have been a source of livelihood for the Bahima people for hundreds of years, but due to economic pressures, many Bahima have begun breeding them with American Holstein cows to produce more milk. 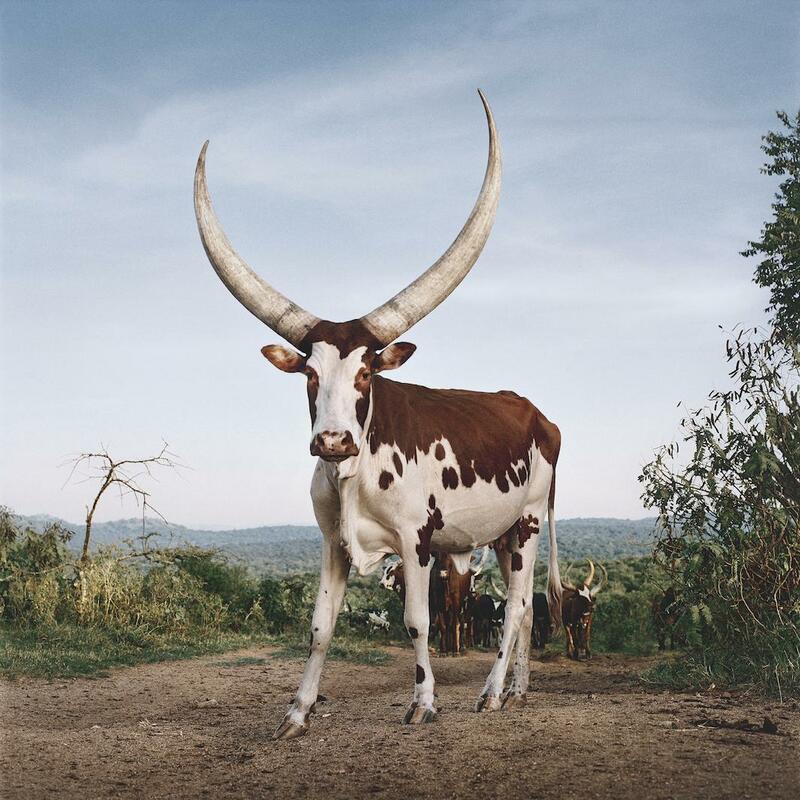 As a result, the article noted, the Ankole could be extinct in 40 years. Naudé wanted to see the animals for himself, so he went to Uganda and traveled with a local guide to find them. He worked slowly with a medium-format camera, taking care to capture their individual personalities. He said the experience was transformative. “It was clear as daylight that this experience was similar to gazing at the ocean. It was a form of meditation, an inexplicable feeling, which kept my mind occupied and satisfied,” Naudé said via email. Ankole 13. Kiruhura district, Western Region, Uganda, 2012. 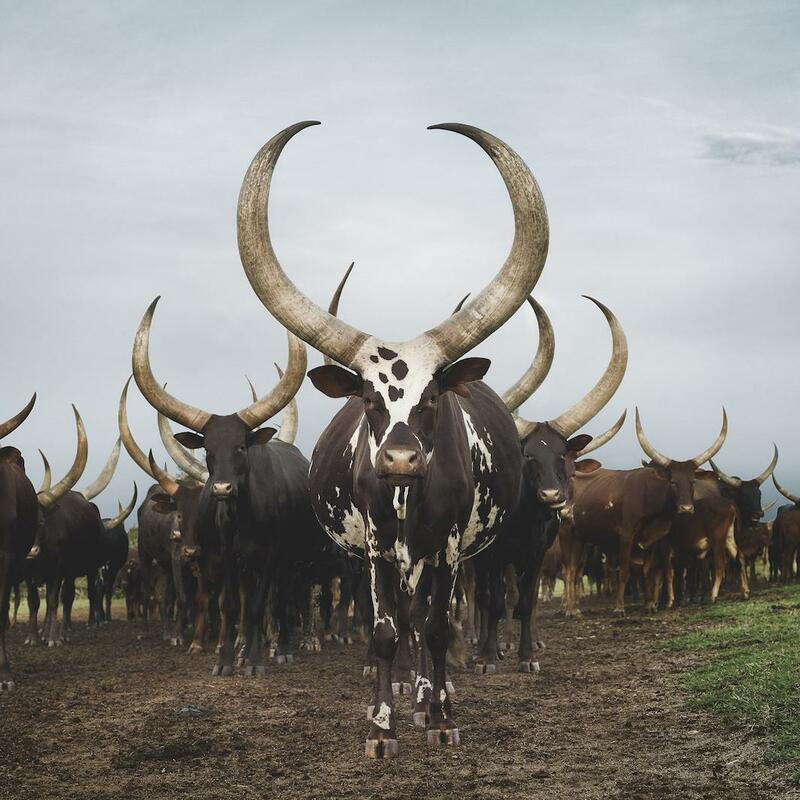 Ankole herd, Lake Mburo district, Nyabushozi, Western Region, Uganda, 2012. 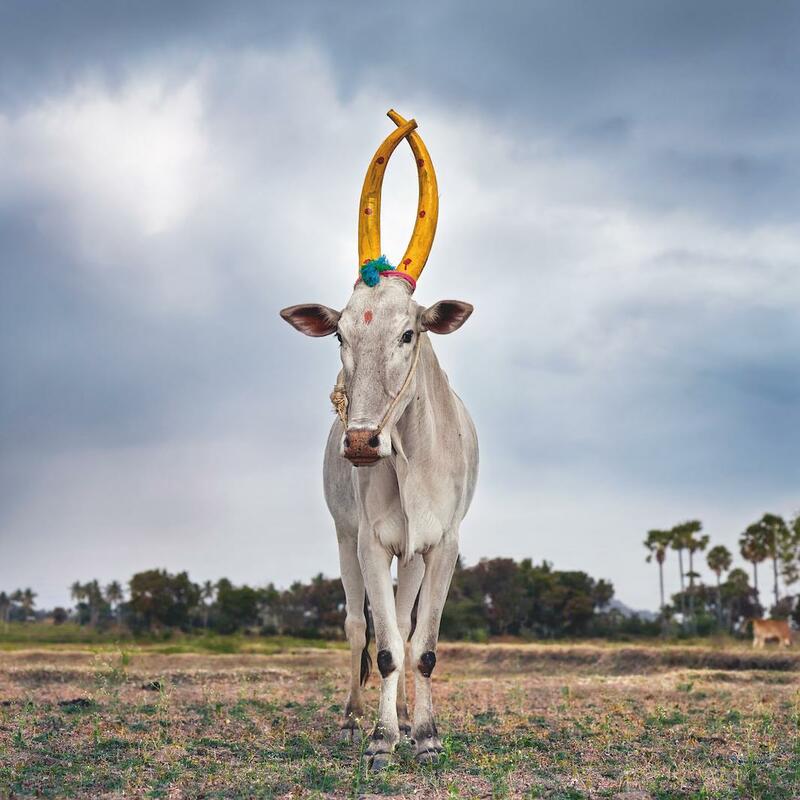 In Madagascar, he photographed Zebu cattle, which are revered for their usefulness in agriculture and their traditional connection to the divine. Besides making portraits of the animals, he also visited the tombs where Zebu skulls and horns are displayed near their owners’ burial places. 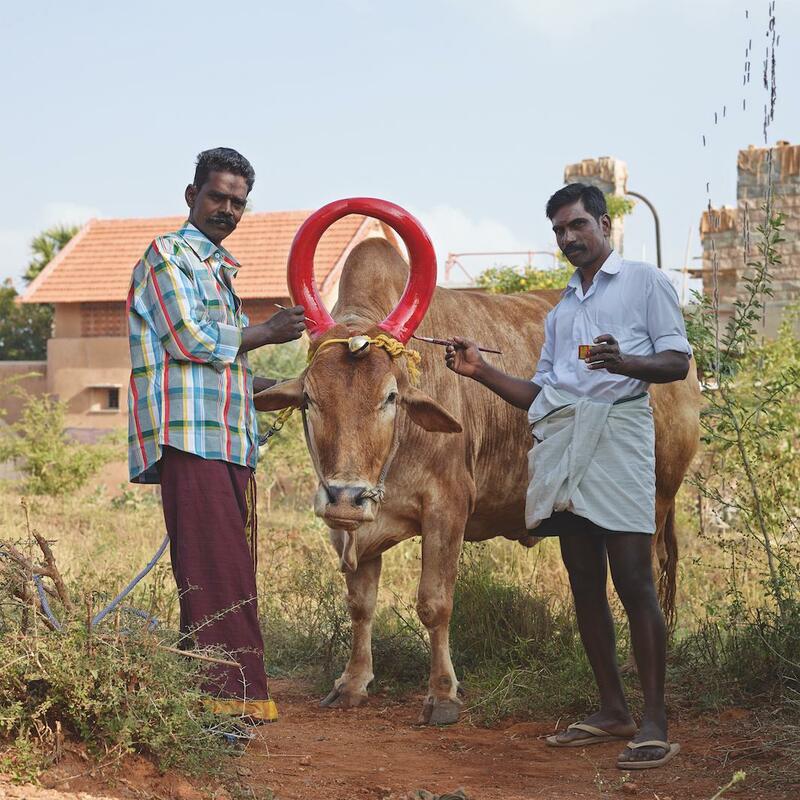 In India, he photographed the Mattu Pongal festival, for which cattle are decorated with colorful paint and bells to express gratitude to the gods after the harvesting season. While the species he photographed have distinct physical characteristics, Naudé found something similar in their countenance that seemed to indicate a shared sentience. In his photos, this quality serves as an unmistakable through line. “My travels to India, Madagascar and Uganda brought me a new understanding of the ancient lineages that connect the cattle I encountered in these countries. I also became aware of a connection that remains visible in their bearing, a stance they carry to this day, regardless of their homelands. I sensed in these cattle something that is measured less in bloodline and physicality, more in terms of conscious awareness,” Naudé wrote in the book’s introduction. Mattu Pongal 5. Beemanandal district, Tamil Nadu, India, 2014. Zebu 2. Cattle market, Ambalavao, Haute Matsiatra, Madagascar, 2013. Mattu Pongal 26. Kananthampoondi, Tamil Nadu, India, 2014. Cattle owner. 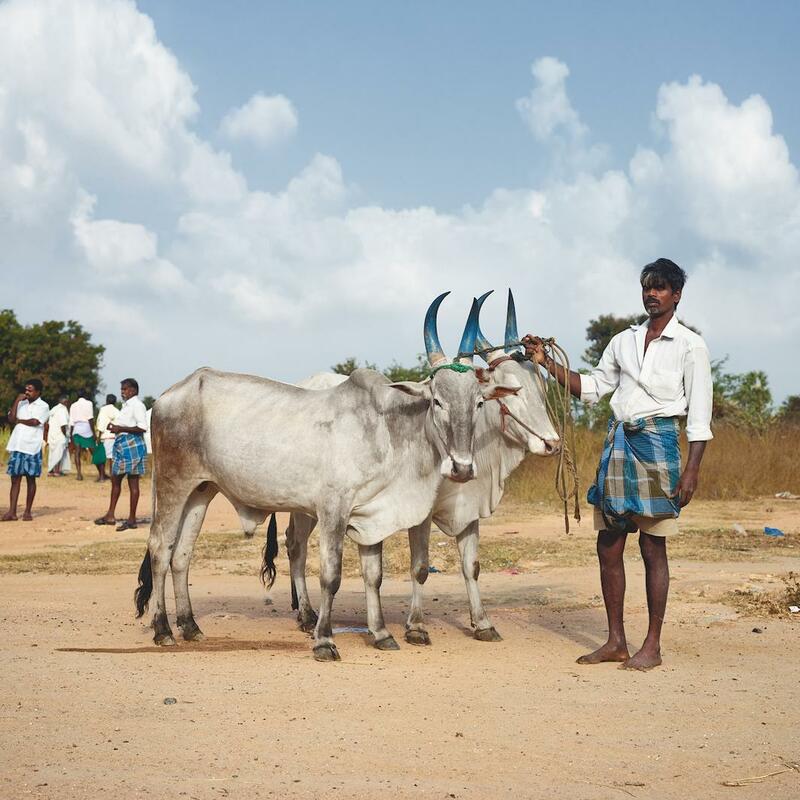 Cattle market, Mallavadi, Tamil Nadu, India, 2014. Mattu Pongal 28. Kanakkandal district, Tamil Nadu, India, 2014. Mattu Pongal 7. Kananthampoondi, Tamil Nadu, India, 2014.